Happy Summer Solstice! To celebrate the longest day of the year, I can think of nothing more delicious than this sherry cobbler full of beautiful berries—and a little mezcal! Gentle muddle berries and orange wheel in a shaker, then add other ingredients with ice and shake. Strain half into a Collins glass over crushed ice and stir. Add more crushed ice and strain the remaining liquid over the top. Top with berries and an orange wheel to garnish. Notes: Adapted slightly from an even more complex cocktail recipe, feel free to play with your spirits, swapping the reposado tequila for an añejo, going equal parts sherry and mezcal, or including a bit of sweetness if the berries aren't doing the trick. 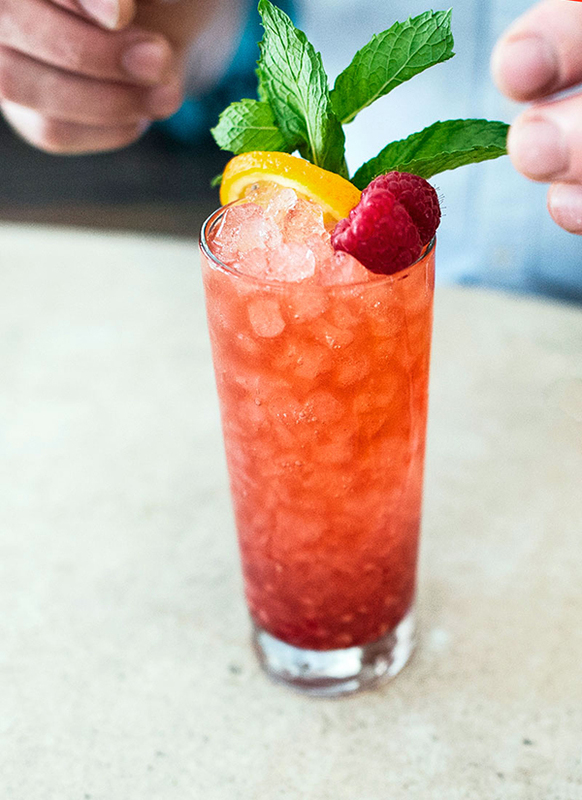 But whatever you do, raise a glass to the first official day of summer—cheers!